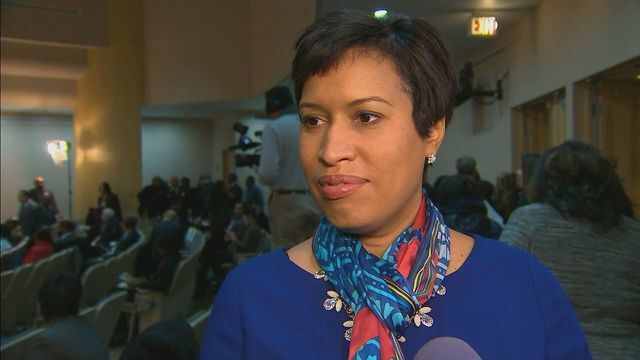 Last year, Mayor Muriel Bowser said Washington D.C. would remain a “sanctuary city” to help protect undocumented immigrants. She has made a pledge to spend taxpayer money to help residents pay for legal fees fighting against deportation. Mayor Bowser is pledging $500,000 to a grant program to help residents and their children with issues involving the immigration process. This will help people with green cards to become U.S. citizens and provide representation for immigrants in deportation proceedings. “We want to make a program that is going to serve the needs of D.C. residents and we are looking forward to partnering with community organizations that do this kind of work in D.C. already and making sure they have the resources that they need to work with D.C. residents,” said Bowser at Gallaudet University. The District of Columbia is just one of several cities across the country that opposed president-elect Donald Trump’s campaign promising to deport millions of undocumented immigrants, specifically those with criminal records. “This is certainly an effort to address what we have seen as anxiety and fear among D.C. residents and we want them to have the tools that they need to feel safe in D.C.,” Mayor Browser said. Clemson Tops Alabama To Claim CFP Champs. ……you integrationist deserve this. Stop following integrationist.